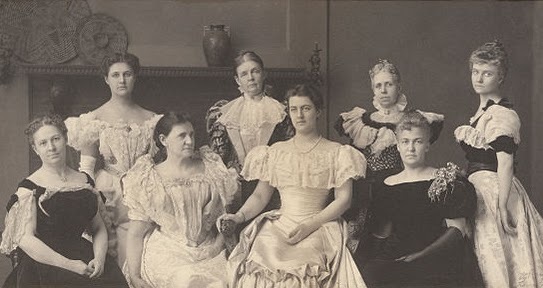 This photo of Mrs. Grover Cleveland along with the wives of her husband’s Cabinet Secretaries, was taken in 10 years after this article was published, in 1897. – The ladies' visiting code admits of great latitude, and rules must be observed to avoid complications... Many compromising episodes result through lack of “time” and method. Not long ago a new member of official society, with ambition to call where the largest number of carriages were seen, found herself at a funeral! The ladies' code of etiquette in Washington D.C. is complicated, and it is important to be understood. 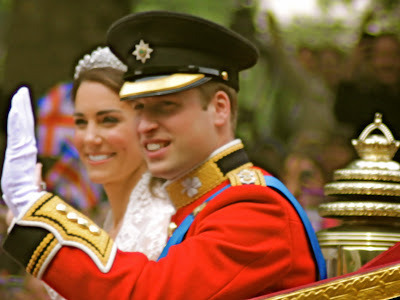 Ladies of the Diplomatic Corps receive first visits from official society, and duly return the same in good form. There is a friction between Senate ladies and Cabinet ladies regarding first calls, but the common law of custom exists, and should be gracefully accepted. There was more excuse for sensitiveness during the present administration than has existed before. The Cabinet ladies were entirely new members of Washington society, excepting the honored and beloved wife of the Secretary of State, who was called to a higher court before social etiquette of the new administration was established, and naturally they felt the newness of their position, and, from a home point of view, regarded it etiquette for the older members of society to make the first call upon the new, hence a conflict, without an authorized umpire to decide a vexed question.